Let’s combine a couple of subjects we’ve covered to help get folks into more profound levels of trance. Going into a trance is a skill. For many things, ultra deep trances are not necessary. If you’re going to create anesthesia for surgery (professionals only please) or have some need to create deeper hypnotic phenomenon such as positive hallucination or complete amnesia for the trance experience, having a deeper trance is helpful. You can do this for yourself or for your subjects. To do this, you need to be able to create a recording. Most computers will record audio and microphones for computers are inexpensive. I won’t go into the details here, you can easily go to your local computer store and tell them you want to record your voice. They’ll tell you what you need. Alternately you can use a cassette deck or “boom box.” Many have microphones built in. Or grab my program on How To Record Hypnosis CDs and MP3s. Leave 30 seconds or so of blank space on the beginning of your recording. Suggestions that each time they are hypnotized or listen to the recording that they more easily and quickly go into a much deeper and relaxing state of hypnosis. The deepening suggestions that are easiest to use in this situation are suggestions that relate to breathing, escalators, elevators and counting. Here are some examples. In a moment I’m going to ask you to imagine yourself at the top of an escalator. 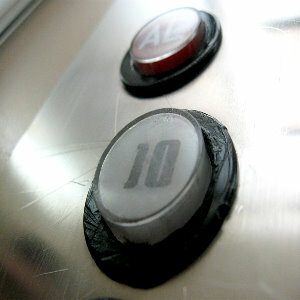 I’m going to count down from 10 to 1, as I say the number 10 in your imagination, step onto the escalator. Allow yourself to go deeper into relaxation with each number I say. When I reach the number 1, step off the escalator into a state of relaxation deeper than you’ve ever felt before. 10, step on the escalator and go much deeper. 9, relaxing more and more with each number. 8, allowing yourself to go deeper and deeper with each number. 7, each number and each easy, natural breath you take helps you relax more fully. 6, 5, doing deeper into relaxation. 4, feeling relaxation flow and every area of your body. 3, 2, allowing your body feel a wonderful, at the relaxation. Sit or lie down, get comfortable and relaxed and start the recording. Give yourself your post-hypnotic re-induction cue (remember, there’s 30 seconds of blank space before the deepening suggestions begin). How many times should you listen to the recording? That depends on what you want to accomplish and how quickly you build the skill of hypnosis.